Having effectively been out of Hong Kong for the last month and a half, I feel like I’ve come back and ten different new restaurants have opened. Not only are they new, but they are impressive restaurants that have been causing a buzz and sending my Facebook news feed into a visual frenzy of food photography. We were out for a nice dinner with our friends, the elegantly gorgeous KW and her ever-amusing beau BB – with company such as theirs, a meal is always off to a good start! 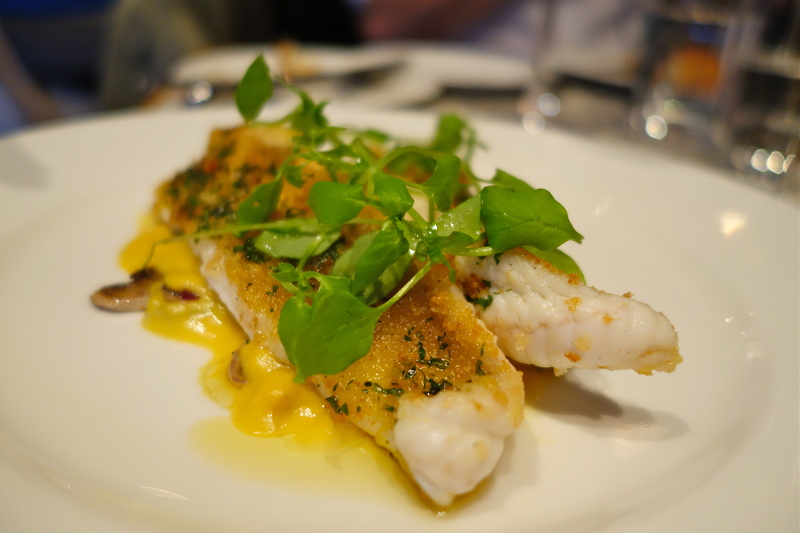 Fish & Meat was fully booked, and we were lucky that Upper Modern Bistro has just had a cancellation. Mirrors and a full glass panel façade makes the restaurant feel very roomy, whilst the soft colour scheme makes the space comfortable and welcoming. Your eyes are immediately drawn to the fabulous ceiling feature, the design apparently is attributed to chef Philippe Orrico’s love of eggs. The kitchen is set slightly higher than the dining room, and is visible from the street so that you are greeted by the sight of chefs busying away. At the time of our visit, it felt like the façade was not yet completed, and I had to squint and search to confirm that this was indeed Upper Modern Bistro. But once I entered the restaurant, I was truly excited to start my meal. 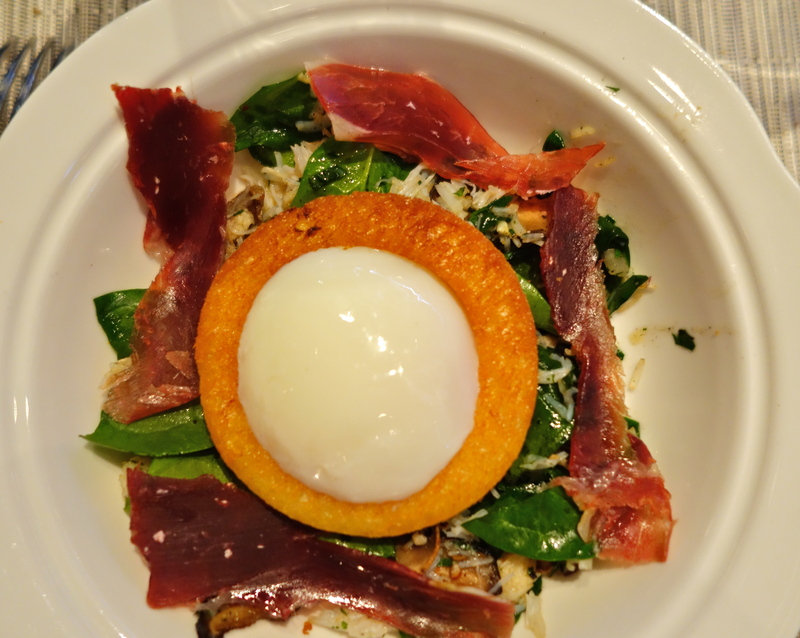 Our friends had been raving about how amazing the food was at St. George, the restaurant where Orrico was head chef previously to opening his own place. 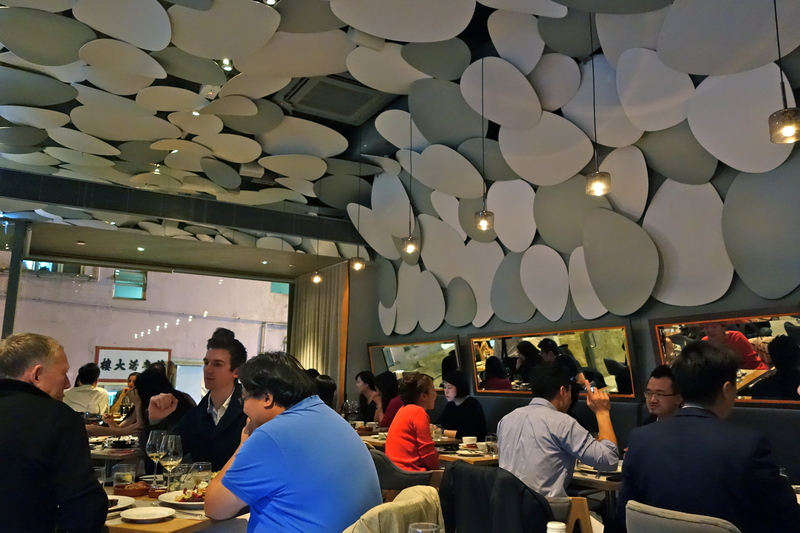 I had never had the chance to go, and anticipated a great meal at Upper Modern Bistro. There’s a snack menu, a tasting menu, and the main a la carte menu to choose from. As enticing as the snack menu looked, we decided to go straight to choosing our main meal. With the 4 of us dining, I have lots of lovely food pics for you here! 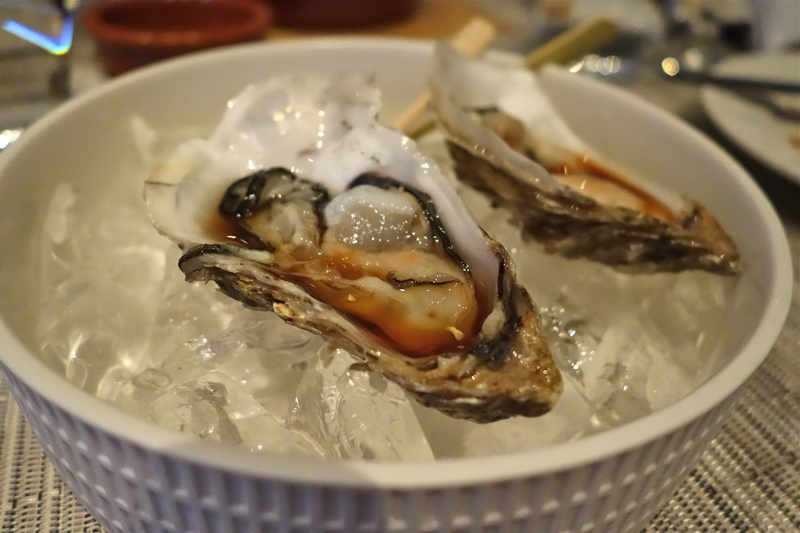 I started off with 2 Brittany oysters, they were crisp and not too big with a fabulous ponzu sauce. 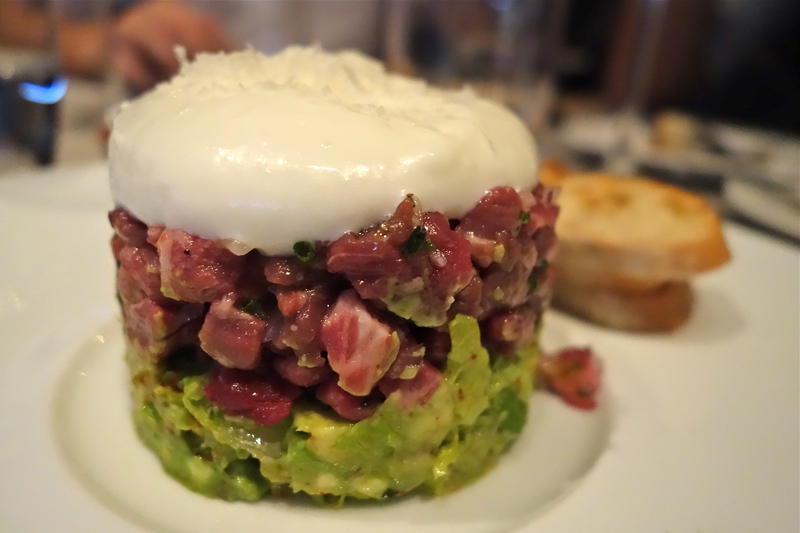 As my first choice of moules marinière was sold out, I went for a bistro staple – the steak tartare. It was unconventional, served on a base of avocado, mixed with pecans instead of capers, and topped with a parmesan cheese foam. If you are a tartare traditionalist, you will be disappointed, as it hasn’t the tartness or the heavier flavours of a traditional tartare. This one is light, with no discerning meaty taste as the favours of the avocado and parmesan overpowered it a bit. Still, the flavours went well together, and I enjoyed the lightness of it. 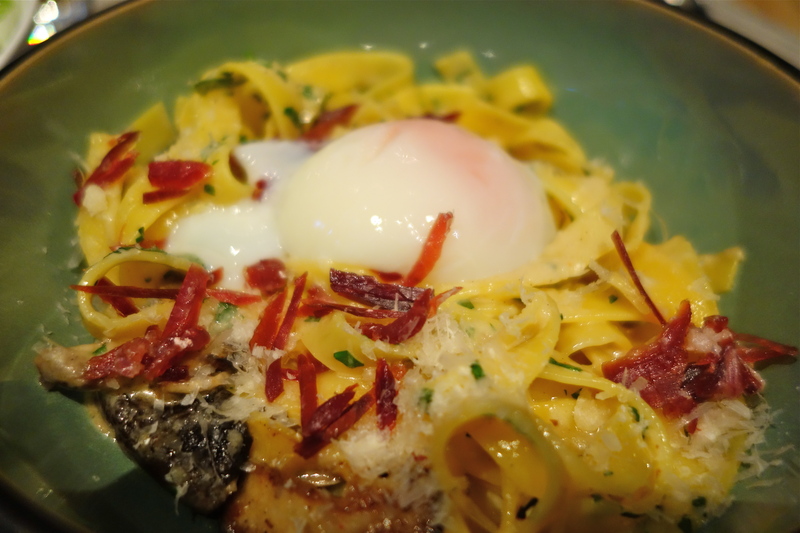 63° eggs are one of UMB’s signature components, and Chef Orrico uses them in his main dish of Mushroom Tagliatelle also. KW’s starter of Chestnut Soup (no photo!) was dreamy, a rich, sweet cream of chestnut with complimentary shavings of white Alba truffle. Delicious. In fact, if you like creamy soups as I do, I would say that soup is definitely one of Upper Modern Bistro’s strong points! 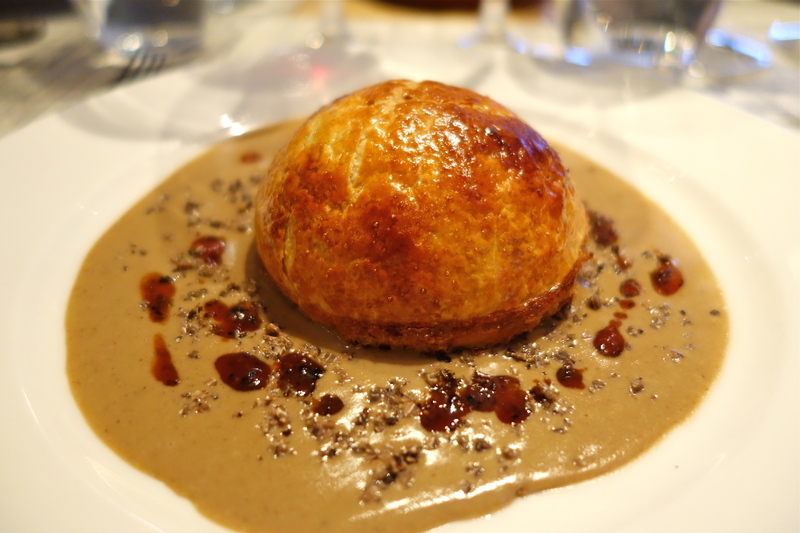 For the main courses, BB ordered a delectable Quail and Foie Gras Pie. It is limited on the menu and yet it was still available for us to order. I suppose it may sound too heavy and rich for many, but I liked its traditionalism. 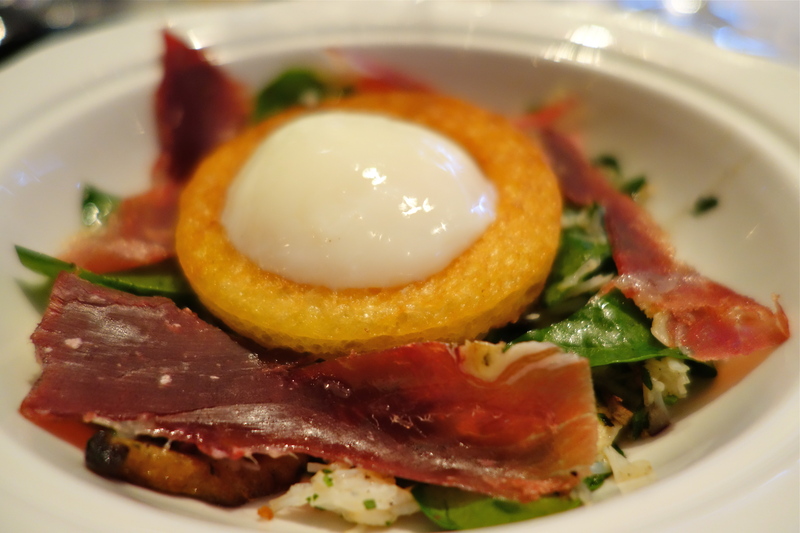 One bite brought me back to a meal that I had at Au Petit Riche, an old-school Parisian restaurant, where traditional recipes such as meat pies and tête de veau are predominant on the menu. And hey, it comes with a salad! 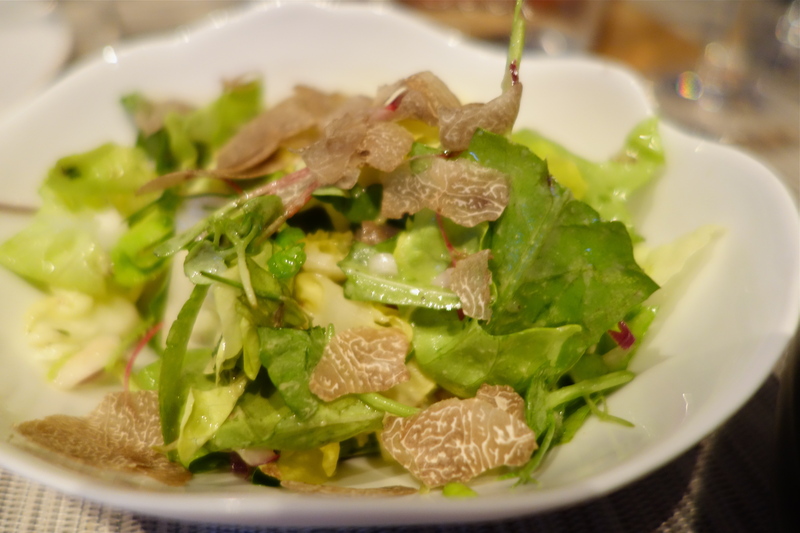 With truffles shavings again, no less. My main course was the most mainstream of them all, but just as well executed. 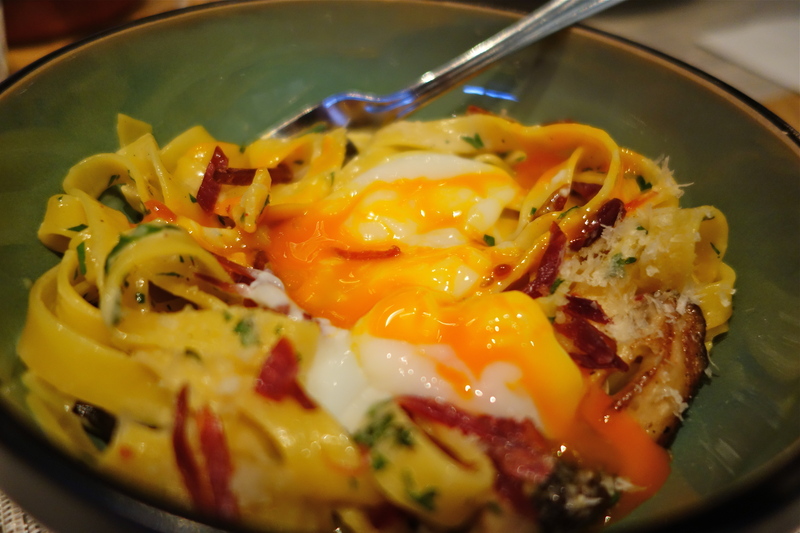 The pasta was wonderfully fresh and cooked perfectly al dente, and the 63° egg oozed its bright yellow yolk to create a smooth, creamy sauce.